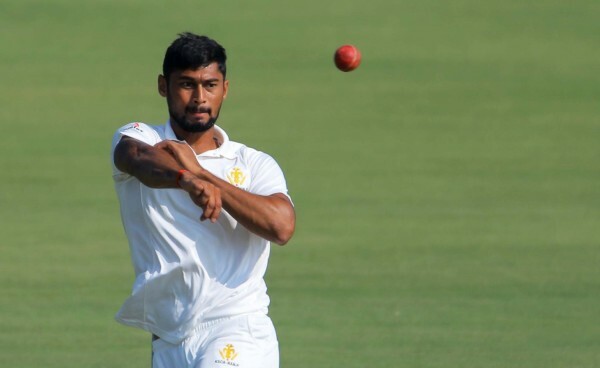 Pacer Ronit More who hails from Belagavi took 9 wickets for 83 as Karnataka trounced Chhattisgarh by 198 runs to inch closer to the knockouts of the Ranji Trophy. Chhattisgarh, given a tricky target of 355 in 72 overs, looked set to force a draw at 117 for two. From here, they lost eight wickets in 14.3 overs. Ronit More took four wickets to finish the match with an overall 9 wickets for 83 runs and was also declared the man of the match. More’s dream season, makes him the highest wicket-taker of the team with 27 wickets.